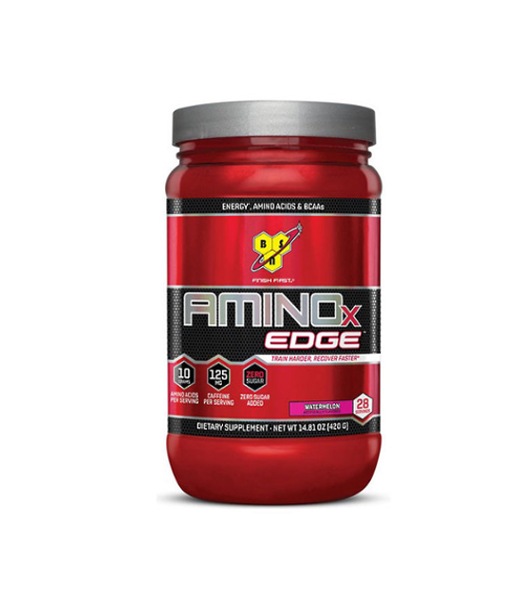 AMINOx EDGE has been designed to aid endurance and give you the energy and focus boost you need to tackle today's workout, along with the recovery support essential to grind it out again tomorrow. 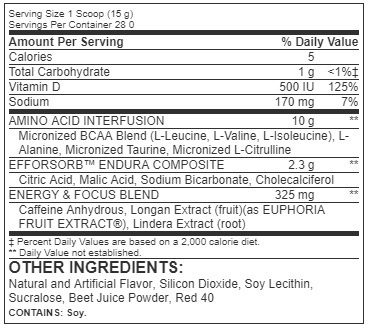 This unique performance blend combines 10g of Amino Acids, 125mg of caffeine, and Euphoria Longana & Lindera Aggregata, ingredients used for centuries in ancient Chinese medicine. Train harder for longer and recover faster. Unleash your performance potential with AMINOx EDGE!